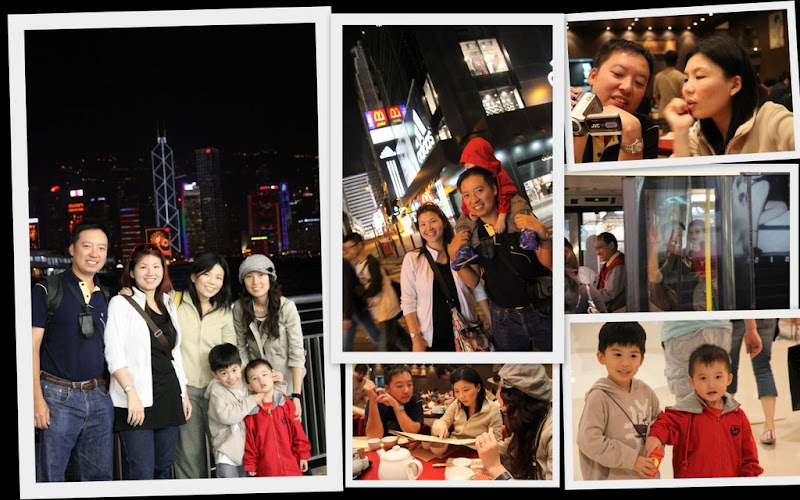 Within just 7 months, the number of unique visitors to Hong Kong has reached 40! 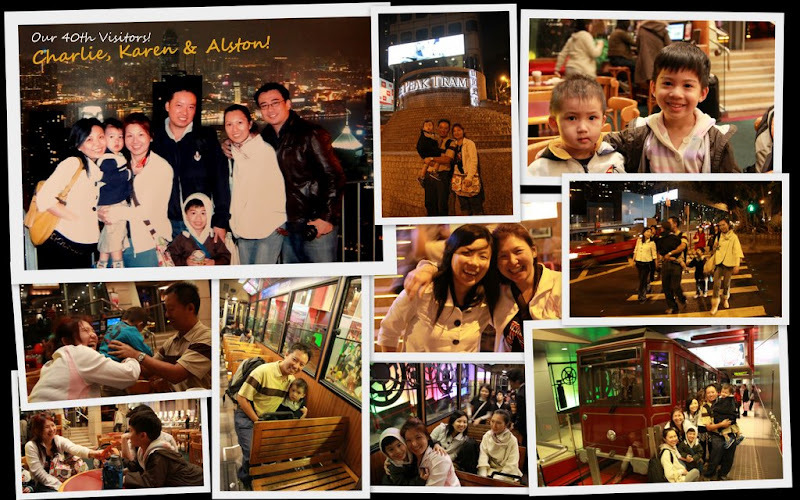 Yesterday, we met up with our old friends – Karen, Charlie and their little boy, Alston. Despite staying at the other extreme end of New Territory (and with a very tired child), they came all the way and met us at the Peak at 9:30pm. Very touched by their efforts and sincerity… (I know they have very packed itineary). Charlie is a doting dad, carrying his tired boy and braved the chill Peak without his jacket (he put his only jacket on his boy). Karen was as hyper and crazy as Elkan. Throughout the 3-hour meeting, she and Elkan were screaming all the way from the Peak to downtown Central. They will be traveling to Macau tomorrow.. hopefully, we get to catch up for dinner before they fly off on Monday.